After Vic’s Dad spent a week in ICU, ventilated and bleeding from his eyes, she signed the documents to allow the doctors to turn off the ventilator. Tienie was an organ donor. We were allowed to say our goodbyes and then the transplant team swept in. Sometime later the machines were switched off and Tienie was officially declared dead…..
Vic received a couple of letters from grateful recipients telling her what a difference Tienie’s organ’s had made to their lives. Doctors proclaim they do not want to play God…..They will fight day and night, for weeks on end, to save a very sick person’s life regardless of the individual’s wishes and quality of live. Doctors and Governments assume the right to decide when a sick person may die. God surely did not intend people to live a miserable life… Just yesterday Britain’s High Court rejected an attempt by a man who has locked-in syndrome to overturn the country’s euthanasia law by refusing to legally allow doctors to end his life. We live in a world filled with hypocrites and people with double standards. I have said it before – people take the moral high ground and assume the role of God. Did God intend for man or woman to “live” connected to machines to keep them breathing? People accept the death of a six-year-old child by aerial bombardment or economic sanctions and defend the life of a six-week-old fetus. I personally live in a country where children still die from inadequate medical care and hunger. It is not physician-assisted suicide that poses the greatest threat to the poor and the disabled but physician-assisted eternal life: Rich people will pay a lot of money for illegally harvested organs… The poor, from a different continent, will sell their organs to buy seed for their farms…. 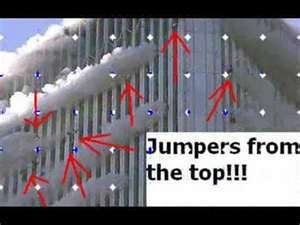 The World Trade Centre – did the jumpers commit suicide or were they murdered? According to most religions the jumpers will go to hell because they took a life – albeit their own…. How stupid!!!! It is my personal opinion that Tony Nicklinson has been sentenced to a Life of Disability rather than being allowed “Death with Dignity.” He cannot wipe his own nose, wipe a tear from his eyes, scratch his ear….. He cannot control his bodily functions. He cannot even take a lethal dose of medication. I pray that God will have mercy on me and allow me the time, mobility and clarity of mind to end my life rather than live the indignity and miserable life that Tony Nicklinson has been condemned too. People should be given the right…the dignity to choose to die…Who is anyone to tell another to endure the psychological pain, the physical pain of staying alive? No one has the right to judge another. If someone feels they need to go, they should be allowed to do just that! I would not want to live in a vegetarian state of being. I believe in God –in universal love–I would rather return to the Love source in dignity.